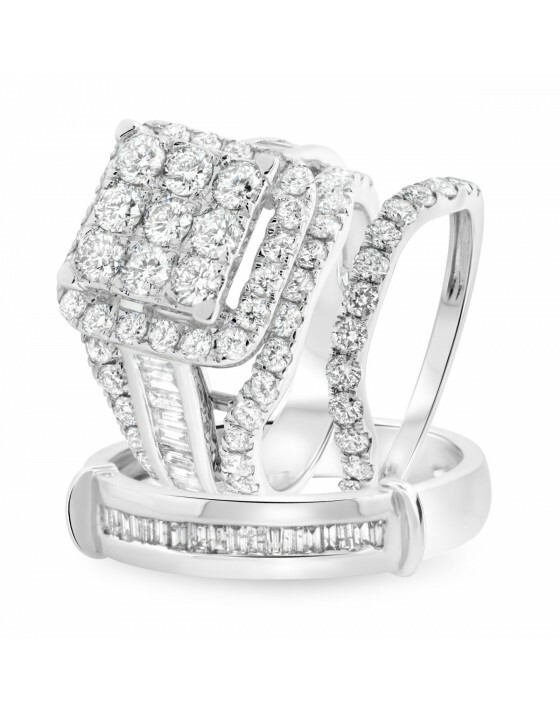 This ring creates wonder with its square cluster head, halo border and three-row band. 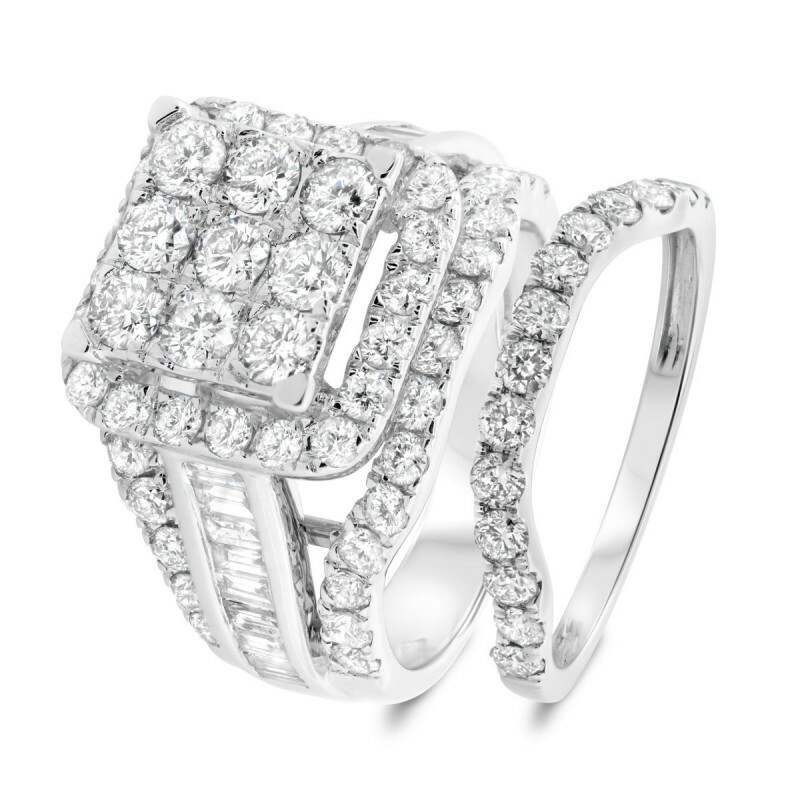 Its elaborate design features 77 diamonds weighing 3 1/10 carats, with a remarkable combination of round and baguette styles. 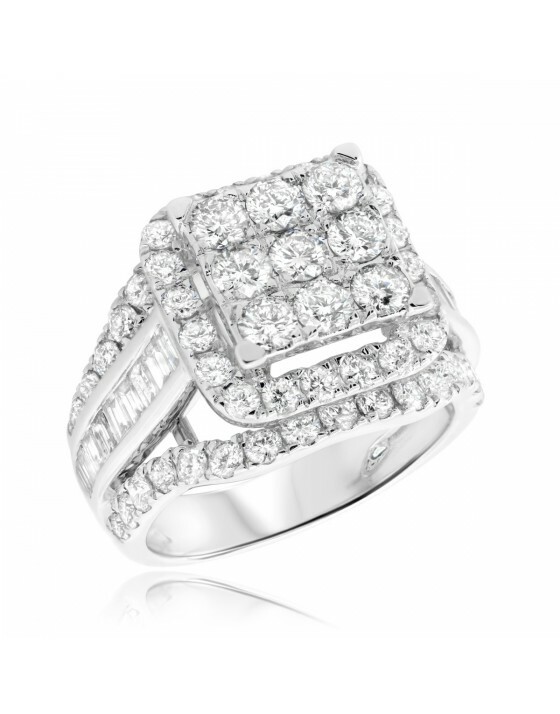 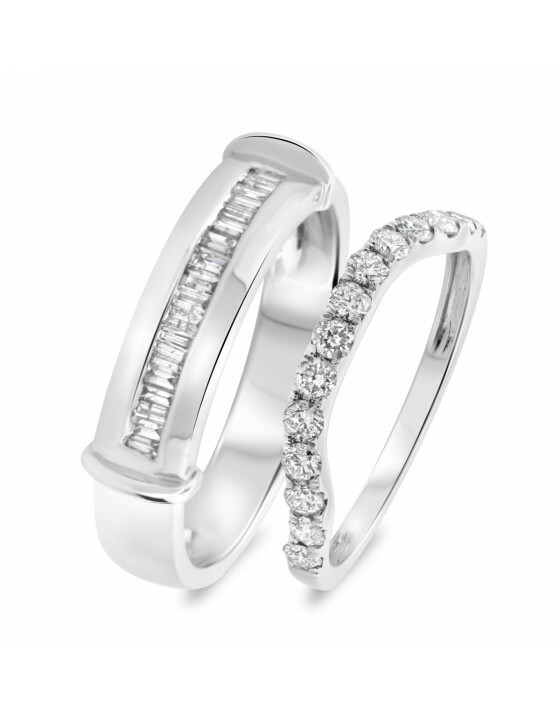 The beauty of the authentic diamond is enhanced by the 14K White gold of this inexpensive halo ring's setting. 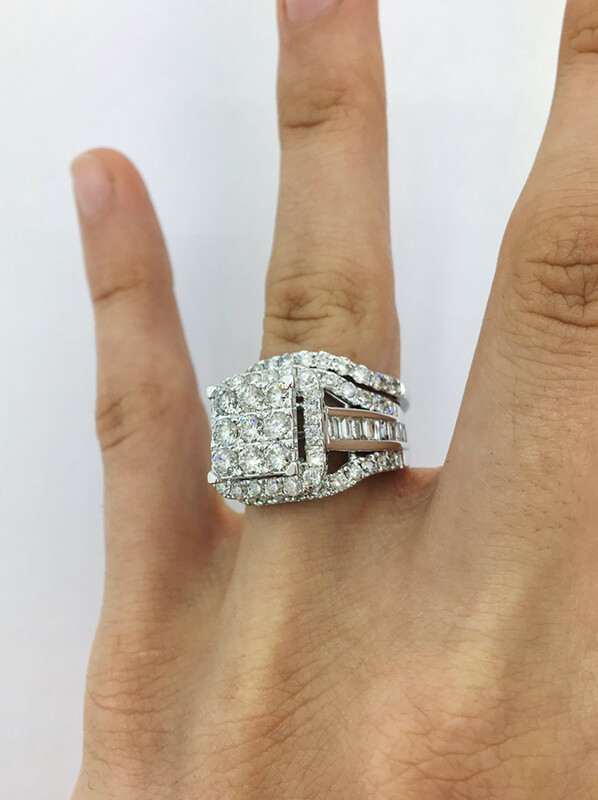 This ladies wedding band provides timeless beauty and wonder with its elegant row of 14 round diamonds within a slim 14K White gold band. 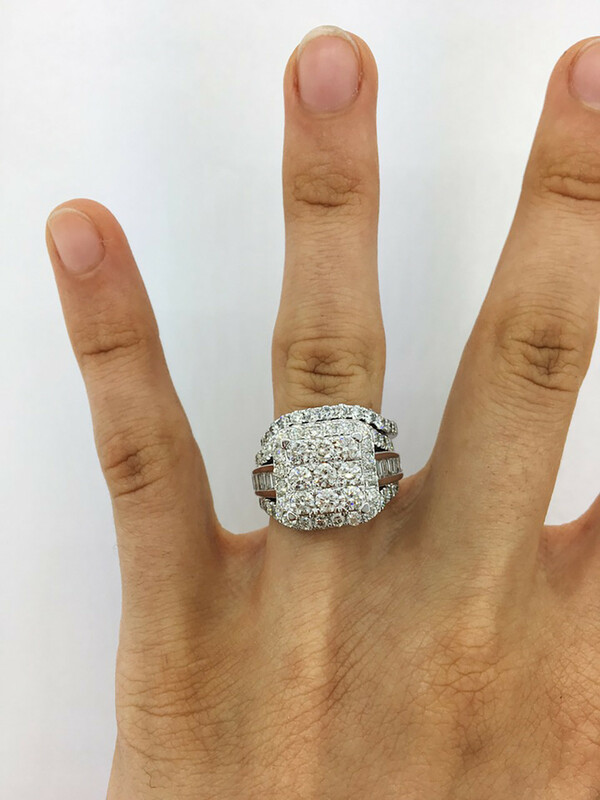 A curve in the band helps it fit perfectly around a curved engagement ring to add an extra layer of diamonds to a women's wedding band set.